“Cloak & Dagger” star Olivia Holt says she expects fans will want to see the two title superheroes get together, but she doesn’t make any promises. Fans of the “Cloak & Dagger” Marvel comic books know that the two superheroes are intertwined with one another, starting with a tragic accident in their childhood that killed Tandy’s dad and Tyrone’s older brother. The two go on to lead very different lives that are a bit swapped in the show: in the comics, Tandy is the affluent one and Tyrone is more down and out. “I think there’s this incredible relationship that they have,” Holt said of Tandy and Tyrone, who start out distrustful of one another. 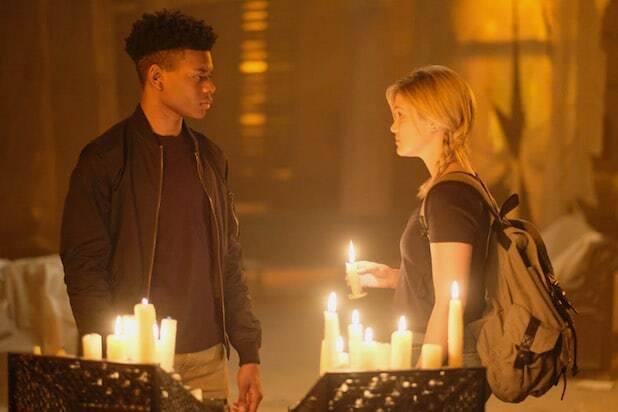 “Marvel’s Cloak & Dagger” premieres on Freeform Thursday, June 7 at 8 p.m.